Xherdan Shaqiri and Granit Xhaka, two star Swiss footballers, risk being sidelined. The two goal scorers in the pivotal win against Serbia last Friday, could find themselves banned from playing in the next two world cup matches. On Saturday, FIFA’s disciplinary committee announced that it had opened disciplinary proceedings against the players. After scoring against Serbia on Friday the players appeared to make an eagle symbol with their hands alluding to the double-headed eagle on the Albanian flag. Years of conflict have left plenty of ill-feeling in the Balkans. Both players are closely connected to the region. 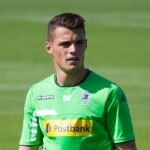 Xhaka’s father was held as a political prisoner before fleeing to Switzerland. Shaqiri was born in what is now Kosovo before emigrating with his family to Switzerland. 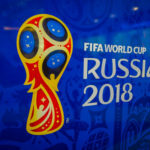 FIFA said that disciplinary proceedings have been opened against the Football Association of Serbia in relation to the behaviour of some supporters. And a preliminary enquiry is also being made against Serbian team manager Mladen Krstajic, according to RTS. 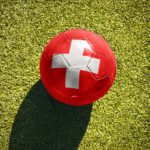 Switzerland needs to win or draw with Costa Rica on Wednesday to be sure of qualifying. 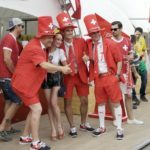 If FIFA sidelines Xhaka and Shaqiri, odds of Switzerland qualifying will fall. Some bookmakers have already lengthened their odds.